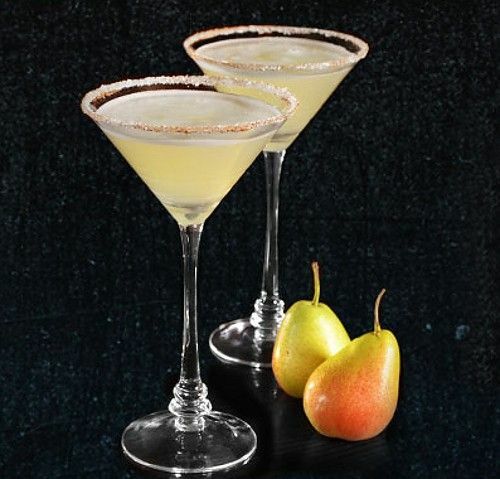 The Spiced Pear Affair cocktail blends silver tequila with pear brandy, lime juice and spiced simple syrup. That last ingredient is one you can buy, but it’s also fun and easy to make, and I’ve included a recipe below for it. This is a tasty, lightly sweet and spicy, warming drink that’s wonderful on cold days. Fill a cocktail shaker with ice and add in the tequila, brandy, spiced simple syrup and lime juice. Rim a martini glass with a mix of sugar and chili pepper powder. Strain the mixture from the shaker into the glass. Your spices can be cinnamon sticks, anise pods, chili peppers – use your imagination. For this recipe, I like just a dried chili pepper or some peppercorns. Put all your ingredients into a medium saucepan over high heat. Stir occasionally as you bring it to a boil. Remove from heat and let it cool until it’s luke warm. Strain it into a heatproof airtight container and remove the spices. Keep refrigerated.